On Saturday, March 16, the tantalizing and unmistakable aroma of freshly grilled meats and mouthwatering sauces will fill the air in downtown Biloxi for the 7th year in a row. 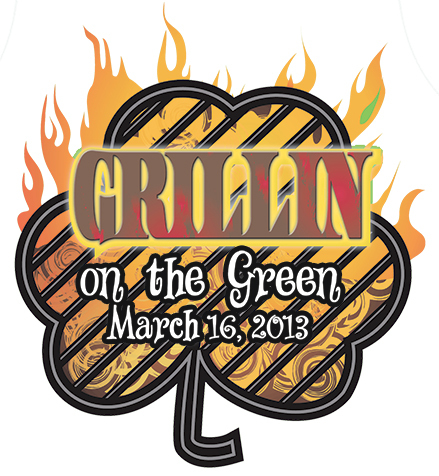 Grillin’ on the Green will kick off a wealth of exciting and fun Springtime events planned for this year, to show off the beautiful and newly appointed Main Street area. Come and bring the whole family for a very special day! It begins at 10:00 a.m and concludes at 5:00 p.m, with free admission for all. For the past ten years, Kay Miller has been the Biloxi Main Street Executive Director. She is responsible for all the wonderful things going on in the downtown area. She works side by side with Laurie Rosetti who is the Downtown Services Assistant for the City of Biloxi and Biloxi Main Street. In the beginning, festivals and events of this kind were few and far between until Kay’s leadership brought another dimension to Biloxi with more free family entertainment. She began with a Spring festival that started out on a rather small scale. It featured mostly craft booths as well as an Easter egg hunt for the kids. In the meantime, the first Grilling event was scheduled which was quite a hit so the decision was made to combine the two. “Grillin’ on the Green took on it’s own persona when we also decided to have it in conjunction with the Hibernia Marching Society/St. Patrick’s Day Parade,” Laurie said. “We were concerned that with so many things going on at the same time, during the same event, that it would be too much…too many people, too much confusion, but it turned out great! Everyone loved it and it was the perfect combination,” Kay said. It was a slow start for Grillin’ on the Green but every year the event grew. Each registration period, more and more people signed up to square off in the Biloxi grilling competition. “We did our research to find out how other cities ran similar events. It turned out that is a very popular concept and people make it a point to compete whenever the opportunity presented itself. They literally go from one event to another in order to take home the prize money and win the bragging rights of being the best,” Kay said. So trophies and big prize money were added for the Grillin on the Green competition which brings in more and more people every year. Today, cooking and the subject of food preparation is more popular than ever before thanks to the Food Network and similar programming found on other television stations. “Upping the prize money also gave us more competitors of a higher caliber and it brought us to the maximum number of participants allowed. Our judges also raised the bar because they are all executive and professional chefs from local restaurants and the casinos,” Laurie said. The chefs have special training and are quite experienced in judging these events. They are all experts in the culinary arts. Grillin’ on the Green is very serious business presented in a laid back, fun atmosphere for all to enjoy. The grillers must adhere to a litany of very strict rules and regulations in order to compete. Teams come from the backyard variety of weekend BBQers to professional chefs representing the restaurants they work for. Local businesses often assemble staff members and employees to cook for the judges as a fun way to promote team work and solidarity. Contestants converge on Biloxi for this one special day hoping that they will take home the coveted trophies and prize money…which are no small potatoes! There are over $5,000 in cash and prizes that are awarded. Grillin’ on the Green has been chosen as a Top 20 Event for the Southeast by the Southeast Tourism Society every year since 2010, something that Laurie and Kay are extremely proud of. Teams pay an entry fee of $100 to $150 in order to participate. Professionals must pay the higher fee of $150.00. The definition of a professional team is one that represents a restaurant or other food service organization. The backyard team is one that consists of families or individuals that are non-profit and not affiliated with a food service company. There are three categories of competition: Ribs, Chicken and Brisket. An interesting footnote, men dominate the Grillin’ on the Green event! Women do compete but the numbers are quite low. There have been some husband and wife teams registered over the years, but none that are all female. “We have a lot of the same people compete year after year. It doesn’t matter if you won before or not, there are no restrictions for past or present grillers,” Kay said. All teams have the option of selling their BBQ to event goers and they are permitted to chose what they want to charge for each serving to offset their expenses. It is the responsibility of each team to provide their own ingredients. No one cooking of any kind may begin until all meat has been thoroughly inspected (in it’s raw state) by the USDA meat inspector on site. The meat must be presented fully wrapped and stamped with the proper US government seal in order to be acceptable. All meat must be cooked on a wood or charcoal fire and may be basted as the cook sees fit while on the grill but no pre-seasoning is allowed. Cooks also may not parboil or deep fry the meat. The judging will commence as follows: 11:00 a.m for chicken and sauce, 12:00 Noon for ribs and 1:00 p.m for brisket. At 1:30 sharp, the announcement of all winners will be made. Each team consists of a chief cook and as many assistants as the chief deems necessary. They will provide one or more pits that will be used exclusively for that particular team. Each team will also provide his or her own table, chairs, work services, cooking equipment, utensils, propane stoves, umbrellas and tents, power cords, as well as a fire extinguisher. A team can consist of only two people or it can be quite large with several members. All teams must set up and tear down their own stations. “Grillers bring in all kinds of equipment, from the most elaborate and expensive to the most simple and basic. Some grills are actually designed and built by the contestants themselves. They all have different set ups and all kinds of different ways of going about the preparation of their BBQ,” Kay said. In order to present their prepared BBQ to the judges for consideration, each team will submit at least four separated and identifiable portions of each meat in containers. A member of each team MUST bring the samples to the designated judging area at a specified and predetermined time. Failure to do so, which includes being late, may result in disqualification. Three judges will make the final decision. The deciding factors are appearance, tenderness and texture, and taste. A score of 10 is excellent, a score of 1 is very poor. During the judging process, if one number results in a zero, the team is eliminated. There will be a first, second and third place cash prize and trophy awarded in each food category in each division. Trophies and prize money will also go to the Grand Champion and for Best Original Sauce. “This is such a fun event. We have so many things to entertain everyone from little ones to seniors and there is never a lull in the activities,” Kay said. There will be non stop live music as well as inflatables and games for the kids, and craft booths to visit while you stroll around the Green. The parade rolls at 2:30. Bring your lawn chairs and plan to spend the day!